Carpool locations and final details will be posted here and on our Raverly Group page by Friday, July 19th! We are super excited! Picnic: We will be meeting at the farm around Noon for food & fellowship. Pack a simple picnic lunch and bring your knitting! 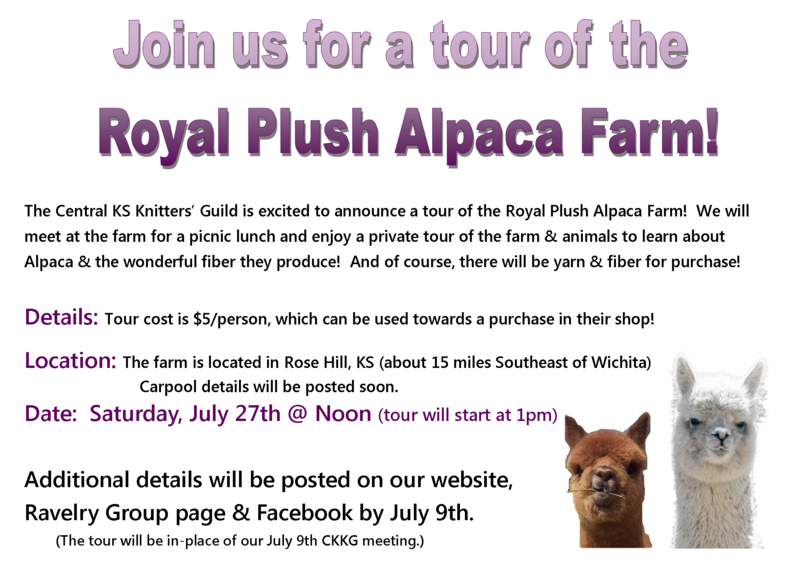 *Don’t forget, this tour is in-place of our regularly scheduled guild meeting (Tuesday, July 9th). There will be NO monthly meeting in July! Next Next post: August Guild Meeting!